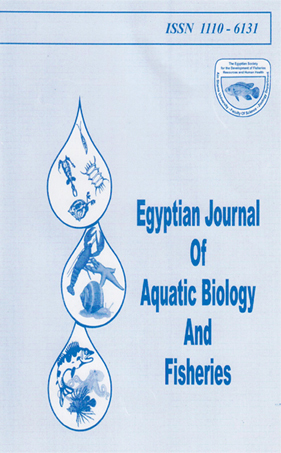 The present study was conducted to compare between protected and non-protected lactic acid on growth performance, feed utilization, some hematological parameters and carcass proximate analysis in Oreochromis niloticus (O. niloticus). Three iso-nitrogenous and iso-caloric diet contained (37.5% ± 0.97) crude protein (4427 cal/g ± 39) Gross Energy (GE) were formulated. The supplemented diet with 0.2% non-protected lactic acid (T1), 0.2 % protected lactic acid (T2) and diet with no additive (T3) were fed individually to three equal fish groups (25 fish/set up with an underlying body weight of 5.42 ± 0.07g) for 90 days. At the end of the feeding trial, O. niloticus offered the control diet exhibited lower growth and feed utilization rates than protected and non-protected lactic acid. Fish fed the diet T2 showed the highest final body weight (FBW), final weight gain (FWG), average daily gain (ADG), feed intake (FI) and survival rate (SR). Fish fed a diet (T2) showed improvement in the tested blood parameters compared to the control group. The present observations suggest that supplementation of lactic acid into the fish diet can be used as an acidifier for growth promoting purpose. In addition, protected lactic acid has a significant effect compared to the non-protected one.